Find much more information under the BGA Scholarship tab. In due course, we will be actively encouraging all eligible high school seniors who will graduate in 2019 to apply for the BGA Scholarship. If you don’t apply, you obviously can’t be considered. 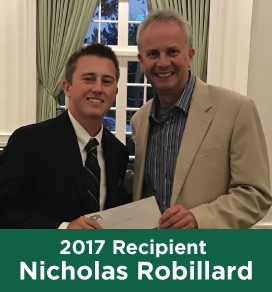 Most importantly, you must have played a minimum of three years (2019 can be your third year) on the BGA Junior Tour. If you have met this requirement, you do not have to play on the BGA Junior Tour in 2019 to be eligible to apply, but we would be delighted if you do so. 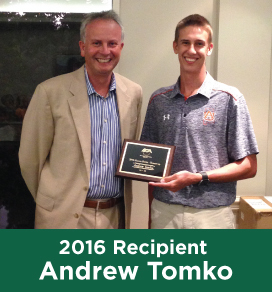 2019 will be our fourth year to offer a scholarship or scholarships. BGA Board Member J.C. Ranelli championed the BGA scholarship and we have been delighted to put it into practice. 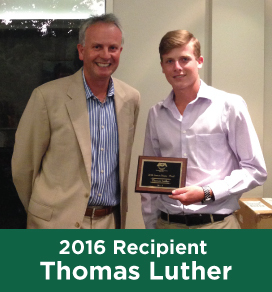 In 2016, the inaugural year of the scholarships, Andrew Tomko and Thomas Luther each received a BGA scholarship. 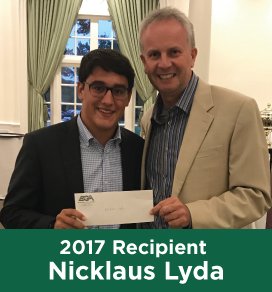 In 2017 the recipients were Nicklaus Lyda and Nicholas Robillard, and in 2018 Helen Lunsford and Carter Goodwin were the recipients.